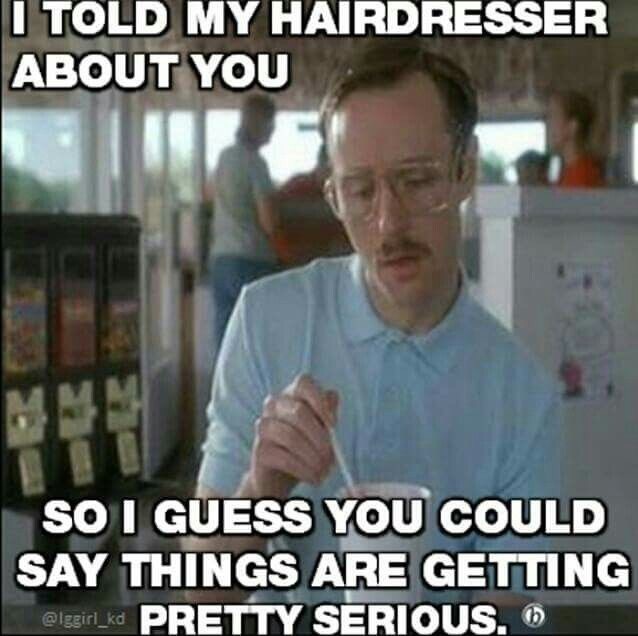 Hairdressers in most parts of the world get told things that you wouldn’t dream of talking to your friends or family about. At times it makes us question reality, a lot of the time it’s therapeutic just to get things off your chest, nothing worst than bottling these things up! Certainly we are not therapists but by default we have two ears and we talk a lot so when you put it all together I guess it’s the perfect combination. Without going into details about who what etc let’s just say it’s locked away deep in our memory, not for ammunition ( however fun that would be ). From affairs, business deals to sultry weekends of passion and all about the partners, we hear it all! Hairdressers are the closest thing to a therapist without being a therapist.